Efforts to recruit 150 medical students for the Class of 2021 at our new campus in Joplin, Missouri, have now begun! Last month, the Commission on Osteopathic College Accreditation (COCA) voted to allow KCU to begin operations, including admission of students. 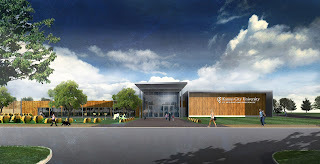 KCU received the official green light last week. 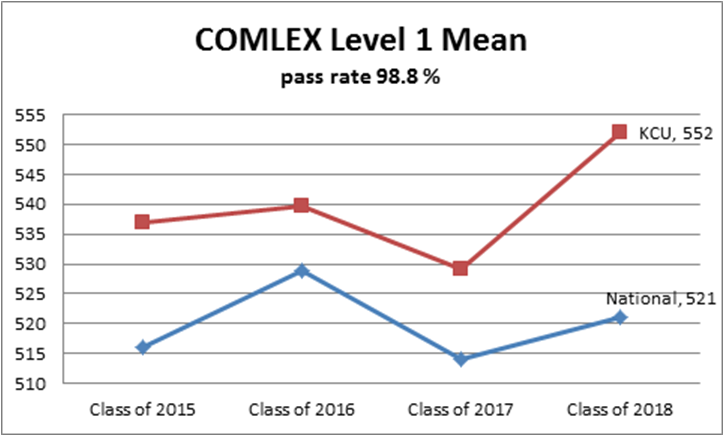 The Class of 2018 has excelled on its Comprehensive Osteopathic Medical Licensing Examination (COMLEX) Level 1 test scores, with a 98.8% first-time pass rate (5.5% above the national average) and a mean score of 551.92 (30 points above the national average). 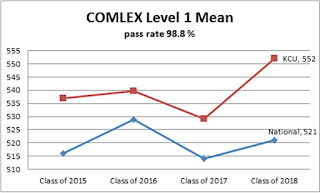 COMLEX Level 1 is the first of three challenging exams administered by the National Board of Osteopathic Medical Examiners. 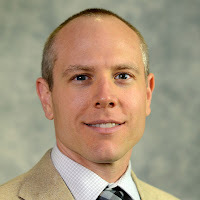 It is typically taken at the conclusion of a student's second year of medical school and is an important factor in determining medical students' competitiveness when applying to residency programs. who teach and guide them along the way! 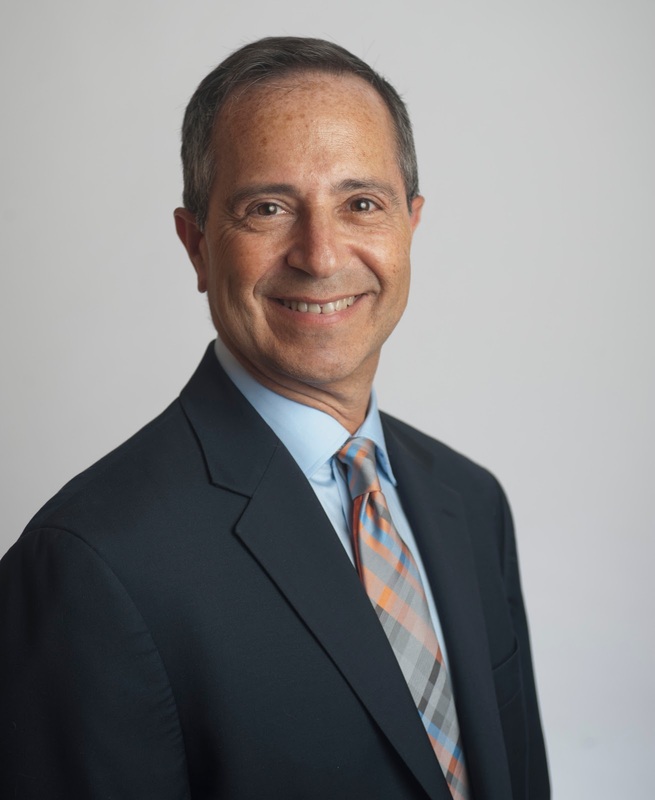 KCU alumnus Laurence Belkoff, DO (COM ’82) has been named the 2016 recipient of the American College of Osteopathic Surgeons (ACOS) Charles L. Ballinger Distinguished Osteopathic Surgeon Award. Dr. Belkoff is recognized for his outstanding accomplishments and leadership in the field of urological surgery and for furthering the osteopathic profession. 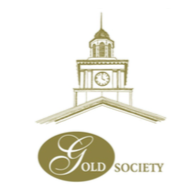 Betty Jo White, DO (COM '63), M. Bruce Farkas, DO (COM '64) and Mal Riddell, DO (COM '77) are now among the esteemed members of KCU's Gold Society who have made annual gifts to our University for 25 consecutive years. Their generosity has contributed significantly to KCU's success, and we extend our sincere appreciation for their loyal support. Drs. White, Farkas and Riddell will be honored during the alumni awards reception at our centennial homecoming event in October. KCU’s community health outreach program, Score 1 for Health, held a screening event on the University’s campus September 16 for students of Scuola Vita Nuova charter middle school. Nearly 200 children were seen by 270 second-year KCU medical students. Under the program, medical students perform supervised health screenings that include physical, blood pressure, height and weight, dental and vision assessments. KCU Associate Professor of Anatomy Barth Wright, PhD, was recently asked to imagine what a day would be like without water at KCU. This question was posed to a number of organizations throughout the area as part of The Value Of Water Coalition’s national advocacy and education event designed to raise awareness of the importance of water and the infrastructure that supplies it. Dr. Wright’s response emphasizes the essential nature of uninterrupted water supply, especially in an anatomy laboratory setting. The results are in, and KCU's numbers are up for this year's Mid-America Regional Council's Green Commute Challenge! Our faculty, students and staff enthusiastically chose transportation modes other than "single car- single driver" to reduce ozone pollution during peak summer months. KCU's number of participants more than doubled this year over 2015, saving an estimated 309 gallons of fuel through carpooling, taking public transportation, riding a bicycle, walking to campus or working from home. The combined efforts resulted in keeping more than 6,000 pounds of greenhouse gases out of the air. Congratulations to all for a job well done!